I have made Liz Larkin’s incredible lemon posset at least a dozen times since it claimed winner’s status in the first food52 cookbook last year. People swoon over it and beg for the recipe, which I happily share. Recently, our friend Jan was over for pizza night. As we chatted after supper, she casually mentioned “our” lemon posset. As it turned out, she had made a batch and, on impulse, had thrown in a sprig of rosemary while the cream was boiling. Jan thought it really amped up the flavor of the dessert, so I promptly made a batch last Saturday when we had folks over for lunch. Superb. Kudos to Liz AKA our lady of scones. I’ll be making a batch of her Royal Wedding Scones soon and posting her fabulous recipe. 1. Using a small saucepan, heat the cream and sugar until it boils, stirring to dissolve sugar. 2. Add the rosemary and continue boiling for five minutes. Watch careful to avoid cream boiling over. 3. Remove saucepan from heat. Stir in lemon juice. Allow mixture to cool 15 minutes. Discard rosemary. 4. Pour into 4 ramekins. Refrigerate until set, about 4 hours. 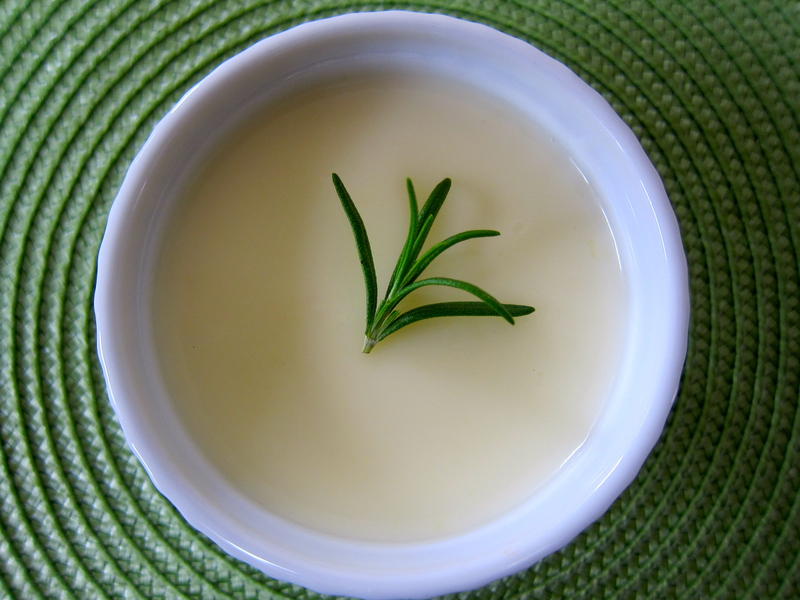 I love Mrs. L’s Lemon Posset – and the addition of rosemary is brilliant. Thanks so -.much for your interest -please try it out! I’ve never heard of a posset. This is completely new to me! I love discovering new things. Thanks for this, Liz (and Liz)! Run, don’t walk, and try this, the original or with the rosemary…I use little cream since Larry’s heart attack, but you do need it. I tried it with whole milk and it flopped. I have also made Mrs. Larken’s recipe quite a few times and am absolutely obsessed! And have gotten everyone I know obsessed! I topped mine with fresh passion fruit seeds – yum! And another friend turned it into a pie. I absolutely love the addition of rosemary! Can’t wait to try it this way, and play around with the recipe even more. It certainly is an addictive recipe – hope you try it with rosemary.